Congrats to all Affiliates on your recent accomplishments! With a historic gift from Drs. Nicholas A. and Dorothy M. Cummings of $3.5 million â€” following an earlier $1.5 million gift â€” the Center for the History of Psychology has its future secured and will be renamed the Drs. Nicholas and Dorothy Cummings Center for the History of Psychology. The multimillion dollar gift will allow the Cummings Center to expand its museum and construct a dedicated research space and offices for visiting scholars and staff. It also will fund an endowment to support a full-time associate director position, enabling the director to focus on fundraising and advancing the Cummings Centerâ€™s reputation. Lowell National Historical Park is one of 65 national parks selected to receive a 2014 Ticket to Ride grant from the National Park Foundation, the official charity of Americaâ€™s national parks. The grant supports the programming and bus fees for 600 Nashua School District fifth graders to the Tsongas Industrial History Center (TIHC) to participate in the â€œRiver as a Classroomâ€ program and explore the Merrimack Riverâ€™s ecosystem by boat and or land. The Texas Commission on the Arts (TCA) has approved funding for two grants to The Ellen NoÃ«l Art Museum. The museum will received a $5,000 grant through the Arts Create program, and a $1,000 grant through the Arts Respond Project. The Arts Respond grant will support the ongoing collaboration with ECISD known as Fine Arts Connection. For over 20 years, this program has provided thousands of young students an opportunity to visit the Museum, tour the galleries and participate in hands on activities. These tours are a major consideration during the planning of the fall exhibit schedule and combine core subject matters with the arts, helping educators to meet the TEKS K-12 standards. Arts Create is in support of general operating for the 2014-2015 fiscal year. The Arizona State Museum will complete conservation treatment of 320 ethnological baskets of high scholarly significance and interest to the museum, scholars and researchers, tribal community members, and the general public. Grant funds will support the purchase of archival quality materials and conservation supplies as well as the hiring of a part-time specialist conservator and recent conservation graduate who will work with the museum’s conservators to treat and stabilize the baskets. The Denver Art Museum will implement critical environmental improvements in an existing storage facility in the final phase of a project to renovate and upgrade the facility. The project will improve current storage conditions for textile art objects, maximize the use of space in storage allowing for consolidation of textile art, and improve curatorial, conservation, and collections management accessibility and safe handling conditions to meet the increased demands of rotations, programs, and exhibitions in the expanded Textile Art Department. Denver Art Museum will develop participatory programs co-designed by the museum’s education staff and local creative entrepreneurs to respond to the challenge of rethinking traditional forms of audience engagement. 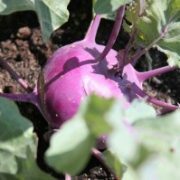 “Test Kitchens” will be spaces that provide activities tied to art to engage the creative community, and “Pop-Ups” will be spaces in galleries with participatory activities that respond, extend, or react to the gallery where they are located. The project encourages dialogue among visitors and artists, deepening the visitor experience and positioning DAM as a catalyst for creativity. The Denver Museum of Nature and Science will re-house and enhance collections management of the museum’s North American Plains Nations Clothing and Accessories Collection to improve stewardship and access for this high-priority collection. The museum will purchase and install new storage cabinets and supplies, fabricate customized mounts for each of the 1,441 objects, and reorganize the collection following Plains Nations cultural designations. As part of the re-housing process, staff will inventory, document, digitally photograph, and re-label the objects. This comprehensive project will address the long-term physical preservation for this significant collection, increase access for monitoring and research, strengthen intellectual control, and create new public outreach and community building opportunities. Mystic Seaport Museum will develop an introductory video and projection globeâ€”two critical multimedia pieces for its upcoming “Voyaging in the Wake of the Whalers” exhibit that will explore America’s historic and contemporary relationship with whales and whaling. The exhibit will help visitors and staff expand the conversation beyond condemning past whaling practices to understanding the forces that drove the industry, how perceptions about whales changed over time, and how human actions continue to impact whales. This project will help the museum raise public awareness about the role the whaling industry played in the development of the nation’s multiethnic make-up, domestic economy, global impact and encounters, and further promote thought about the nation’s whaling heritage, and how it continues to shape communities and culture. The National Mississippi River Museum and Aquarium will create “Boat Works,” a new exhibit and educational program demonstrating the history and skills of engine assembly. The unique exhibit experience will feature the operational Iowa Marine Engine & Launch Works, a 1915 machine shop, in order to interpret the machinery, tools, and equipment that was necessary for this skilled work. To support the exhibit programming, the museum will recruit, train, and evaluate volunteer interpreters to demonstrate various activities within the machine shop. Through this exhibit, visitors will learn all aspects of boat building, including the manufacture of marine engines, the building of wooden boats, the shaping of iron in the blacksmith shop, and the construction and launch of large iron and steel hull vessels. The Kentucky Historical Society will conduct a comprehensive inventory of its artifact collections. The effort will include making digital photographs of each object, conducting baseline condition assessments, and updating collections management records. The project will enhance the stewardship of the museum collections by accounting for the location of all items, rehousing and reorganizing the material, and establishing which objects may need more thorough conservation attention. Newly created digital images will allow the staff to increase the accessibility of the collection by adding to the historical society’s object catalog which currently features over 12,000 items in a searchable database. The Reginald F. Lewis Museum of Maryland African American History and Culture will hire a curatorial graduate student intern, create a postdoctoral fellowship in African American history, and establish a professional development fund that will allow staff at all levels to take advantage of training programs relevant to their work as museum professionals. In collaboration with the Center for Africana Studies at the University of Maryland, Baltimore County (UMBC), the postdoctoral fellow will experience hands-on learning in curatorial practice and collections; research and write articles that focus on topics in African American history, museum collections research, and upcoming exhibitions; and host two public talks that highlight civic and cultural engagement as related to his or her museum research. The graduate student intern and postdoctoral fellow will develop valuable career skills, and the professional development fund will enhance the ability of the museum staff to present information about the lives of African Americans in Maryland. B&O Railroad Museum will design and develop a permanent exhibit focusing on railway safety, the history of rail safety, and the individuals who keep railways safe. Through the use of life-size dioramas, historic artifacts, photos, archival documents, and interactive learning stations, the exhibit will be an educational tool for visitors to learn about the evolution of railroad safety and the role of organized labor, proper ways to engage rail systems, and gain an understanding of the safety tools and signs as well as the jobs of different railroaders. The exhibit will also be incorporated as a mandatory visit component for school groups utilizing the museum’s History Passport Program, a free admission program for students. The USS Constitution Museum will develop a research-based, hands-on exhibit providing visitors of all ages the opportunity to learn about the origins of the “USS Constitution.” Intergenerational audiences will engage in participatory activities and learn through the lens of the people who dreamed, designed, built, launched, and outfitted the ship in the 1790s. The integrated exhibit and program project will expand the museum’s capacity to serve families by creating a memorable, engaging, and informative exhibit and integrated programs. The project will spark a cross-disciplinary appreciation for the ship’s innovative design and construction, including the STEM (science, technology, engineering and mathematics) concepts inherent in America’s history, and foster emotional and personal connections. Michigan State University Museum will improve the storage environment for 28,527 vertebrate specimens that are presently housed in substandard or unsafe conditions. The specimens include both fluid-preserved and dry collection items, many of which are currently difficult to access. The museum will purchase cabinetry and archival supplies; transfer fluid-preserved specimens to approved flammable liquid cabinets; install archival boxes and drawer liners for dry collections; rehouse the dry specimens into new museum-quality cabinets; produce shelf, drawer, and cabinet labels for the rehoused specimens; update the storage locations of rehoused specimens in the collections database; install a temporary public display featuring the collections stewardship activities; disseminate information about the project; and evaluate the overall effort. This will rectify the current substandard conditions, mitigate risks of deterioration to specimens, and improve access to and management of the collection. The American Jazz Museum will hire a registrar to enhance the accessibility of the museum’s collections and create four semester-long paid internship positions focusing on collections and education. The registrar will be tasked with responsibilities related to collections care and management of special projects in the collections department, including ensuring safe and proper handling, transportation, exhibition, storage, and documentation of permanent collections and loans. To ensure the success of each intern, the museum will develop a sound, three-way partnership between the museum, the students, and the colleges or universities they attend. The interns will be recruited from University of Missouri-Kansas City, University of Missouri-Columbia, University of Kansas, and Kansas State University and will work on projects that increase the accessibility of the museum’s collections and offer valuable job experiences to the students. The Museum of the Rockies at Montana State University will create a new field trip program for schoolchildren in kindergarten through twelfth grade to keep museum education and informal learning experiences at the forefront of standards-based education for Montana’s schools. The project will increase the museum’s capacity to reach more students each year, create guides for teachers and students, and increase the number of Montana State University student-led field trip programs. Results of this research will be shared with other informal STEM (Science, Technology, Engineering and Math) education programs statewide to increase the quality and relevance of all informal education experiences available to Montana schoolchildren. The Springfield Museum of Art will develop a model for creating sustainable, audience-focused public programs through a project called “It’s Your Art Museumâ€”A Model for Community Involvement.” The museum will hire a part-time museum educator and engage the services of a consultant who will conduct community focus groups and work with museum staff and volunteers to develop a model that can be used by staff, volunteers, and interns. Upon completion, this project will improve the quality of the museum visitor experience by presenting learning experiences for different ages and styles of learners that have been developed with community input. 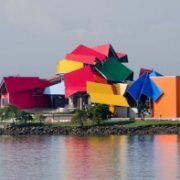 The Museo de Arte de Puerto Rico will develop and implement “Art and Technology,” which will provide learning opportunities to at-risk youth in the San Juan metropolitan area by integrating the museum’s exhibits and collections as a platform for learning activities and dynamic thinking. Through lessons on digital media, photography, and art aligning with academic standards, students will acquire technology and problem-solving skills, language proficiency and communication skills, the ability to better interact with peers, and enhanced information skills. At-risk youth will be able to use the museum as an innovative learning facility with free art and technological resources to develop their skills to learn, create, and share with their peers their work in a safe environment. Children’s Museum of the Upstate will partner with the Greenville County Human Relations Commission and a local bank to provide family financial literacy sessions for low-income families titled “Finances for the Family.” These sessions will include a series of four workshops, a lessons learned discussion, and an exhibit challenge that will connect the museum’s growing focus on financial literacy to a communitywide effort to address economic inequality and improve financial stability for low-income families. By bringing its resources and early childhood educational expertise to bear on the challenge of financial literacy for low-income families, the museum will improve participating families’ prospects for the future and help build a stronger and more vibrant community as a whole. Perot Museum of Nature and Science will expand its museum-based professional development offerings for Dallas-area teachers by launching, testing, and evaluating a scalable Perot Museum STEM (Science, Technology, Engineering, and Math) Teacher Institute and Mentor Program. Participating K-12 teachers will attend a weeklong, intensive “Summer Academies at the Museum” designed to measurably improve the quality of formal science instruction in public, charter, private, and parochial schools by creating and sustaining a collaborative formal and informal STEM learning community. The museum aims to increase teachers’ knowledge of science content as well as their competence, confidence, creativity, and consistency in science instruction through this program, and ultimately increase interest and engagement among their students in STEM subjects. The Museum of Flight will re-house and catalog its aviation manual collection, which includes 14,000 manuals relating to military aircraft, commercial aircraft, general aviation aircraft, pilot instruction, aircraft operation, engines, landing gear, and other aircraft accessories. The museum will rehouse the manuals in archival containers for long-term preservation and fully catalog each manual. The additional details added to the catalog records will enable researchers studying aviation, military and technical history, and technical design to more easily search and view records of the collection. This project will also provide an established framework for the addition of more manuals as the museum acquires them. Wisconsin Veterans Museum will digitize and catalog 1,700 images including ambrotypes, tintypes, cartes-de-visites, gemtypes, cabinet cards and photo albums produced during the war, as well as images of Civil War veterans taken after the war. The project will include the development of metadata standards, evaluation of previously digitized material, and the development of an online searchable database. The Civil War image collection represents the highest priority for digitization because of the condition of material in the collection, the high level of research interest, and its historical significance. The project will provide the public with increased accessibility and a portal to a fully cataloged, searchable digital database of the Museum’s processed Civil War image collection. The North Carolina Museum of Natural Sciences is the state’s most visited museum and the largest institution of its type in the southeastern region of the U.S. Visitors can observe real scientists at work through floor-to ceiling glass walls, and take part in an extensive range of exciting programs. Each year, more than 35,000 visitors attend the museum’s BugFest, the nation’s largest family-friendly event exploring the world of insects and other arthropods. The Mountain-Plains Museums Association (MPMA) announced the winners of its 2014 Awards including History Colorado taking home top honors for Black Sunday Object Theater in the Exhibit Technology category. Dr. Kurin visited the National Museum of American Jewish History in Philadelphia in November 2013. 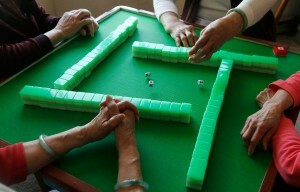 Photo courtesy NMAJH. You may have caught him in an Affiliate neighborhood in the past yearâ€”heâ€™s been to more than 8 Affiliatesâ€”or read his new book The Smithsonianâ€™s History of America in 101 Objects. 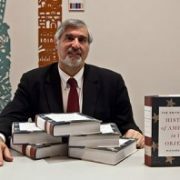 But did you know you can now learn from Richard Kurin, Under Secretary for History, Art, and Culture anywhere you can download him?! 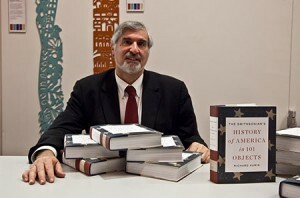 Based on Richard Kurinâ€™s popular book, the Experiencing America courseâ€”the first in aÂ new partnership between the Smithsonian andÂ The Great Coursesâ€”reveals the stories behind iconic American artifacts, including President Abraham Lincolnâ€™s hat, Dorothyâ€™s ruby slippers, George Washingtonâ€™s sword, Harriet Tubmanâ€™s hymnal and even the Space Shuttle Discovery. Eye-opening and thought-provoking lectures share surprising takes on both familiar objects and little-known artifacts of profound importance to American history. We are always on the lookout for ways to bring engaging, educational content from the Smithsonian to Affiliate neighborhoods and are delighted that Dr. Kurin has visited so many Affiliate communities. This new collaboration with The Great Courses offers yet another way to experience the Smithsonian. 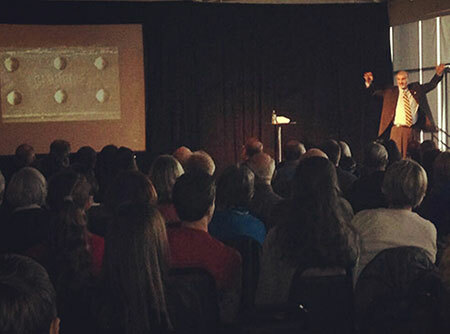 Dr. Kurin gave an animated talk at the Senator John Heinz History Center in Pittsburgh in March 2014. Affiliates interested in bringing Dr. Kurin to their communities should contact their Affiliations National Outreach Manager for more information. Smithsonian Affiliations Collaboration Spotlight about the 101 Objects book tour. Smithsonian press release about The Great Courses. 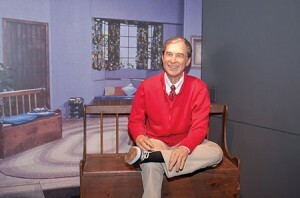 Business Wire press release on Smithsonian and The Great Courses. Purchase the 24-lecture course and guidebook here. While it may seem like a contemporary term, many museums, including the Smithsonian, have been using crowdsourcing as a strategy for years.Â At the Smithsonian, we’ve been at it since 1849, when the first Secretary, Joseph Henry, used 150 weather observers all over the U.S. to contribute data, an activity that led to the formation of the National Weather Service. The Smithsonian still sources the power of our audiences today on topics ranging from tree leaves and gardens to immigration and stories fromÂ rural America.Â We’d love to hear from you!Â Please contribute your voice, or let your visitors know, about the projects below.Â Do you have a crowdsourcing initiative you’d like to share?Â Let us know in the comments. 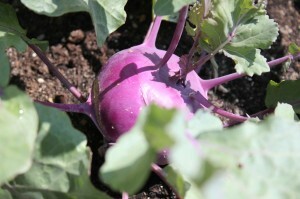 crowdsourced image of kohlrabi growing in the garden of The Works, a Smithsonian Affiliate in Newark, Ohio. For Smithsonian Week, Sept. 23 to Sept. 27, the museum will feature two special Smithsonian guests, who will give presentations related to the â€œCahuilla Continuumâ€ exhibit. Exhibit Features Skate Culture on Big Cypress Reservation and Across U.S.
Philip Leslie Hale. American, 1865-1931. 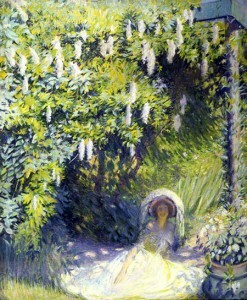 Wisteria, circa 1895. Oil on canvas. (Collection of Dr. William H. and Nancy Marshall). On view at the Peoria Riverfront Museum. September also marks the month-long National Smithsonian Membership Drive. The Stafford Museum is celebrating their status as a Smithsonian Affiliate and the opportunity to share the Smithsonian Membership with all Oklahomans by discounting all membership levels by $10. The Morris Museum, aÂ Smithsonian AffiliateÂ museum, holds 32 Greiner photographs in its permanent collections and selected 20 of those to include in â€œOh! 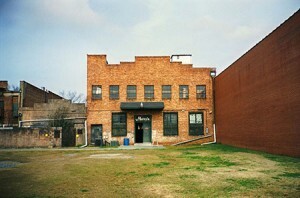 Augusta!â€Â Eschewing digital, Greiner used a 35mm film camera and a half-a-century-old lens. Schulte says that GreinerÂ took so many photos during his 2012 visit that he had to ask museum staff to run out andÂ buy him more film. The post-cranial bones of the Passenger Pigeon came from the collection of the Virginia Museum of Natural History. It was with the guidance of Dr. Elizabeth Moore that these elements were made available for this landmark project. Brian Schmidt, Director of the Division of Birds at theÂ Smithsonianâ€™s National Museum of Natural History was able to provide two skulls for the project. The South Dakota State Historical Society will show a webcast of a Smithsonian Channel program on the history of California’s Silicon Valley.Â The historical society says its museum in Pierre will show the free webcast on Sept. 14. It was produced in 2010 for Smithsonian and explores the growth of Silicon Valley in the late 1950s, before people like Steve Jobs and Bill Gates ruled the technology sector. Historic City News readers are invited to be guests of the St. Augustine Lighthouse and Museum on Saturday, September 6th, to take a bite out of history with award-winning chef Richard Hetzler. In association with the Smithsonian since 2014, the Sullivan Museum and History Center is part of a select group of museums, and cultural, educational, and arts organizations that share the Smithsonianâ€™s resources with the nation. But now a new program by the Smithsonian is teaching people how to preserve their own cultural artifacts, which have value to society and, quite frankly, monetary value. It looks like the TV program Antiques Roadshow has come to town. 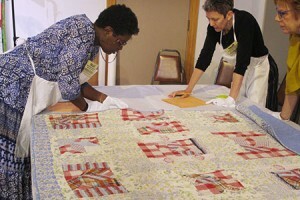 But these are experts from the Smithsonian’s National Museum of African American History and Culture, here as part of a series of workshops around the country to help identify and protect items of cultural significance. “We are extremely proud of bringing ‘Save Our African American Treasures’ to Birmingham and of our partnership with the Birmingham Civil Rights Institute,” said Lonnie Bunch, director of the Smithsonian museum, in a statement. The air is turning crisp and Affiliates continue to host top-rated programs all over the country. 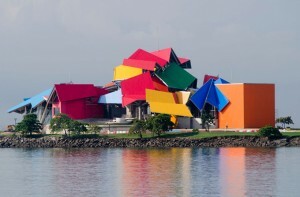 The BioMuseo, designed by Frank Gehry, is ready to open in Panama. National Outreach Manager Alma Douglas takes part in the celebration of the BioMuseo, which officially opens to the public in Panama City, 10.2. Smithsonian Associates lead an exclusive tour Inside Oak Ridge National Laboratory featuring two Affiliates, the Museum of Appalachia and American Museum of Science and Energy in Oak Ridge, 10.4-7. The Menello Museum of Art opens George Catlinâ€™s American Buffalo exhibition from the Smithsonian American Art Museum in Orlando, 10.4. 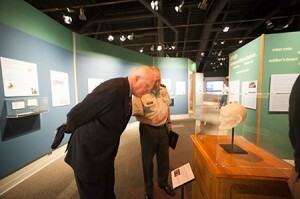 The South Florida Museum opens SITES The Evolving Universe exhibition in Bradenton, 10.25. Affiliations director Harold Closter will announce the new affiliation with the Witte Museum in San Antonio, 10.7. Affiliations director Harold Closter will announce the new affiliation with the Space Center Houston, 10/8. 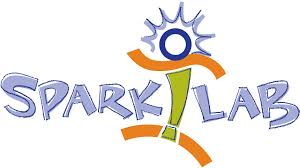 Several Smithsonian staff members will attend the celebration to open Spark!Lab, an interactive exhibit and activity space resulting from a collaboration between the Berkshire Museum and the Lemelson Center for the Study of Invention and Innovation, in Pittsfield, 10.10. 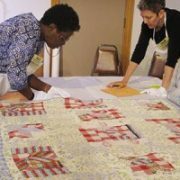 The Lowell National Historical Park will host an Innovators in Community Engagement Forum, including Sharon Reinckens from the Anacostia Community Museum, and fellow Affiliate, Cassie Chinn,Â from the Wing LukeÂ Museum, in Lowell, 10.21-22. The Childrenâ€™s Museum of the Upstate hosts their first â€œSmithsonian Speaker Seriesâ€ with a talk by fellow Affiliate Dr. Deborah Barnhart, CEO of the U.S. Space & Rocket Center in Huntsville, Alabama. The Museum will also present public exhibition of student creations as part of the Smithsonianâ€™s Youth Capture the Colorful Cosmos astrophotography project, in Greenville, 10.28.